Chateaudun is a town to the north-west of Orleans and south-west of Paris, attractively located on a rocky outcrop above the Loir River. The town falls into two distinct regions, with the castle and the medieval town at the higher point of the hill, and the more recent lower town along the river below. The two parts are joined by several paths and alleys between the two. Chateaudun tourist office can give you a map with details of a marked path through the town that shows the highlights en-route. The highlight, standing above the town, is the Chateau de Chateaudun: this is where most visits to the town will start. Although the chateau has existed here since the 12th century, and part of the structure you see today dates from that time, a great deal of modifications took place in the 15th and 16th centuries to transform the castle from having a defensive role to being a more comfortable building for living in. 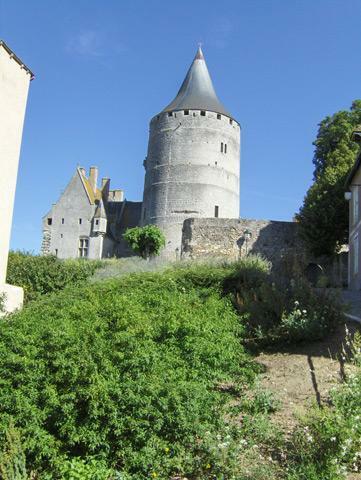 As a result the castle combines both medieval and renaissance styles: the round donjon, 31 metres tall and with a conical roof, is the main element from the earlier period. There are several noteworthy architectural features to admire, including the ornate external staircase facing the interior courtyard from the Longueville wing: this wing of the castle has lots of decorative details and windows in the renaissance style. The gothic style chapel at Chateaudun castle is also well known for an important fresco it contains - a portrayal of the Final Judgement dating from the 15th century. The Chateau de Chateaudun is the first castle you reach when heading from Paris towards the Loire Valley. Because of its importance the castle is a listed national monument. Although a serious fire damaged Chateaudun in the first half of the 18th century there are still some impressive medieval buildings to admire in the old town around the castle and the Eglise de la Madeleine. In particular see the medieval houses along Rue saint Lubin and the Maison de la Vierge (with a wooden statue of the Virgin on the facade) on the Rue de la Porte d'Abas for some of the best examples. 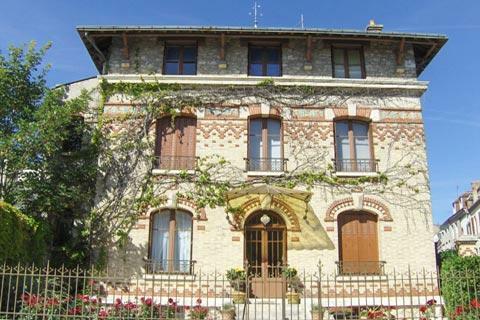 You will also notice a renaissance style house in stone with a small tower at the corner of Rue de la Cuirasserie. The Place du dix-huit Octobre is the main square in Chateaudun and although it is mostly used for parking you can see a stone fountain and a typical 19th century town hall in the square. 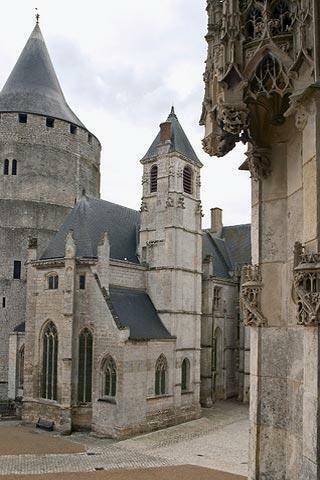 You will discover various churches as you explore Chateaudun including the Church of Saint-Valerien, the Eglise de la Madeleine and Saint-Jean-de-la-Chaine church. At the Saint-Jean-de-la-Chaine church you can see a lovely stone gateway, all that remains of a wall that once surrounded the cemetery. You can also see the facade of the Chapel de Champdé, the remaining part of an important 16th century church and in remarkably good condition given that the rest of the church has disappeared!. Interesting stories are attached to the Foulon Caves on rue des Fouleries - occupied in prehistoric times, they later served as a refuge for the inhabitants of the town during the great fire. A guided tour of the caves is available and explores almost a kilometre of the complex. 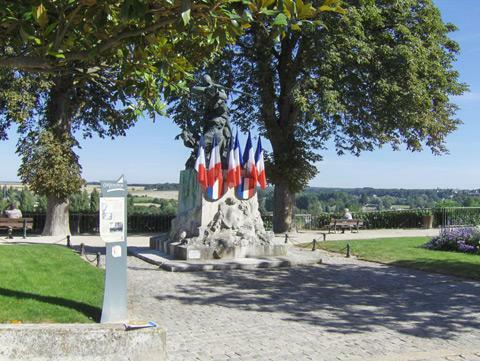 Chateaudun is a 3* ville Fleurie and there are various well maintained parks and gardens, including the Grands-Moulins Gardens in a picturesque setting on the banks of the Loir and the recreation of a medieval garden next to the castle. There are various traditional towns and villages in the region, but the two most popular destinations near Chateaudun are both important towns with impressive cathedrals: at Chartres to the north and Orleans to the south-east. You can find more local travel ideas in the Eure-et-Loir guide and the Loire Valley guide.